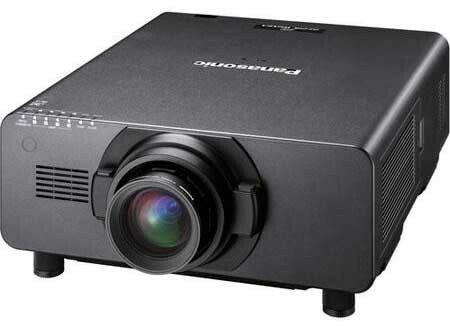 South Africa - Gearhouse Group, South Africa’s largest rental staging company, has increased their Audio Visual projection stockholding with the recent purchase of sixteen 20K projectors - eight Christie Roadster HD20K-J 3-chip DLP and eight Panasonic PT-DZ21K 3-chip DLP units. The Group services a very wide range of event types from a 50 pax conference in a hotel boardroom to a globally-broadcast closing ceremony in a stadium and the Group stocks an equally diverse range of brands to meet client preferences and service the various applications using the most suitable product. Although there are already more than 50 HD projection systems in operation around the Group, these two machines are the latest arrivals within their particular fields of application. Gearhouse is well known for providing its clients with the very latest technology and this acquisition takes the organization’s AV capacity to the next level for the coming year. The Christie Roadster HD20K-J 3-chip DLP projectors will start taking over from the Christie 18K’s already in stock and now have the advantage of built-in warp modules and upgraded M series style electronics making them a natural choice for complex blending jobs and outdoor/touring applications. The compact footprint of the Panasonic PT-DZ21K unit combined with their reduced power draw and silent operation will enable the AV team to offer higher light output on corporate shows where the operational noise of the unit is always a concern. The 4-lamp system of the PT-DZ21K has also reduced visible flicker on these machines. These units were purchased through local agent PanSolutions. The brand’s proven reliability and the low cost of ownership of these units, make these projectors an attractive option for servicing the Group’s corporate/conferencing clients. Ultimately both machines are high brightness, high reliability workhorses and will greatly enhance an already comprehensive AV inventory. Four of the Christie 20K units will be deployed in the Cape Town branch and the remainder of the new stock will remain in Johannesburg.